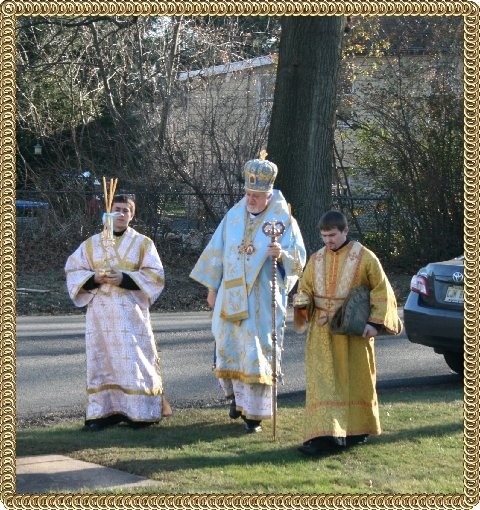 Ukrainian Orthodox Church of the USA - 75th Anniversary of Nativity of the Virgin Church in South Plainfield, NJ! 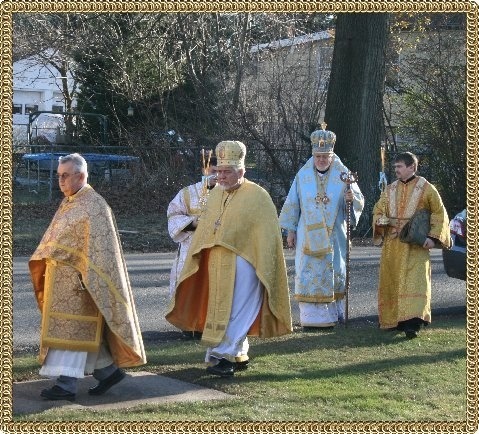 His Eminence, Archbishop Antony led the celebration of the Divine Liturgy, beginning with a procession from the rectory to the church. 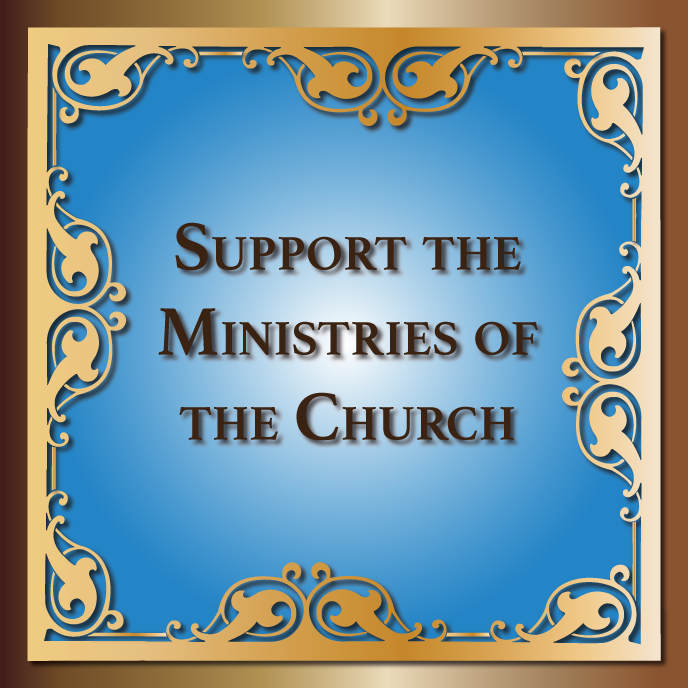 The church bell rang out welcoming His Eminence, and the singers sang the entrance troparia while His Eminence entered the sanctuary. 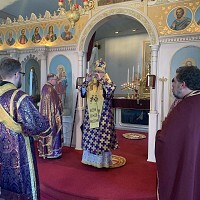 The clergy celebrating with him were our Dean, the Mitred Protopresbyter Taras Chubenko, Pastor of Saint Demetrius' Cathedral of Carteret, New Jersey, the Very Reverend Gerald Ozlanski, Pastor of Assumption of the Mother of God Church, Chester, Pennsylvania, and the Very Reverend Yurij Siwko, Pastor of Saint Andrew's Memorial Church of South Bound Brook, New Jersey, the host pastor, the Very Reverend John Udics, and Subdeacons Andrij Matlak and Vasyl Dovgan, seminarians of Saint Sophia Ukrainian Orthodox Theological Seminary, South Bound Brook, New Jersey. Mr. Raymond Mastroberte led the singing of the responses, aided by Pani Matka Mary Ann Chubenko and our own Anastasia 'Nettie' Sherby, Anita Anderson and Andrew Olear. 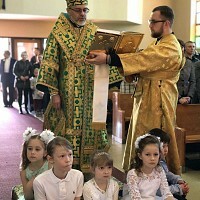 During the Liturgy, prayers were offered for the repose of the souls of all the former Archpastors, Pastors and Pani Matky, as well as founders Catherine Dorosh, Paul Owsinik, Michael Polehonki, Nicholas Sawczak, Jullia Sharyk and Andrew Zahuta, and those who were stewards on the Church Board, and all the departed members of the parish. We also offered prayers for the health of all the parishioners of our parish. His Eminence, Archbishop Antony honored our parish by offering Blessed Hramotas (Certificates of Appreciation) to some of the leaders of the parish: Board President Andrew Olear, Parish Brotherhood President Dmitri Kopchak, Board Treasurer Anita Anderson, Board member Michael Ratai, Chorister Anastasia Sherby, Board member Florence Ratai and Church School Teacher Joyce Pein. In his homily, His Eminence spoke at length of the sacrifices offered by the fathers and mothers, grandfathers and grandmothers of our current parishioners. They sacrificed and struggled so that our parish could be born and flourish. 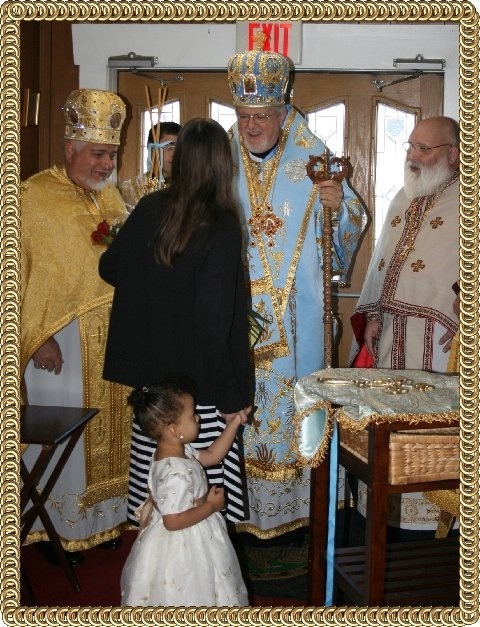 Among the visitors to our parish were our neighbors the Very Reverend Stephen and Khourie Beba Tewfik of Saint Stephen the Protomartyr Antiochian Orthodox Church, South Plainfield, New Jersey, and the Reverend Charles and Mrs Jean Mingle. After the Divine Liturgy, we adjourned to our Parish Hall for a fine Lenten meal, and excellent community sharing. 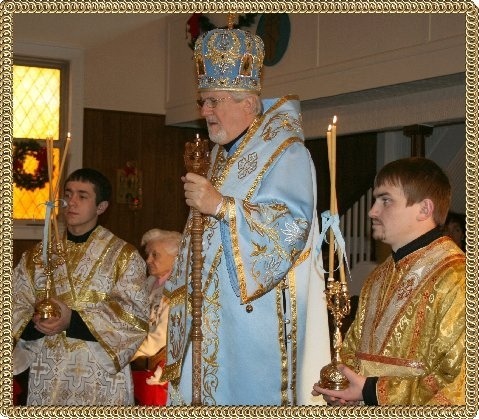 St. Andrew Cathedral in Metropolitan Washington, DC Celebrates Feast Day! The Nativity of our Lord Proclamation of the Ecumenical Patriarch! 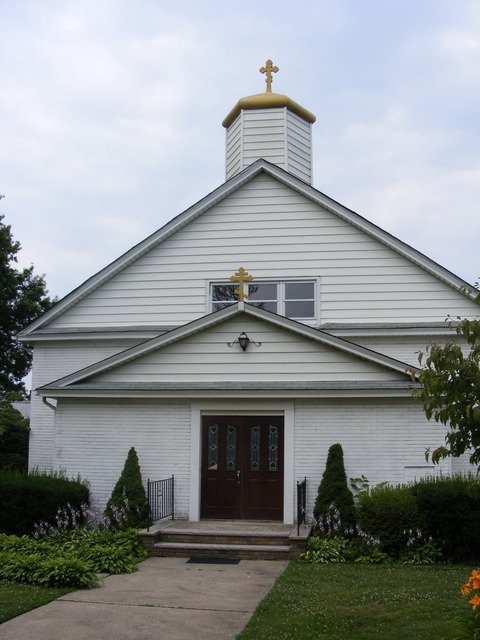 Holy Archangel Michael Ukrainian Orthodox Parish Celebrates 75th Anniversary!